We’re continuing to iterate on our Panda algorithm as part of our commitment to returning high-quality sites to Google users. This most recent update is one of the roughly 500 changes we make to our ranking algorithms each year. Webpronews further reported on how Daniweb losses half of the 370K page views a day last Wednesday. Daniweb is an IT discussion forum that had received the first blow of Google Panda Update last February. Daniweb is recovering already and claims to have 110% percent recovery from February update until Wednesday when it was hit again by the recent Panda Update. I have seen minor drop of traffic in some of my keywords but not the entire site. 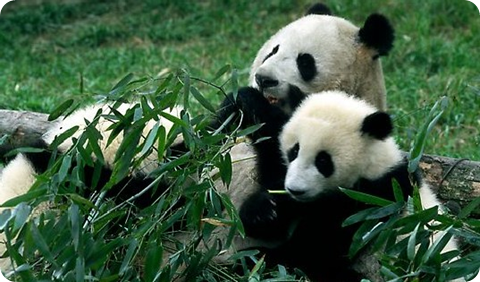 According to different articles that can be sen on the internet, Google Panda Update focus at on-site optimization. It only means that your site should have a good way of having on-site optimization. Interlinking your article will also help. But of course all Google Panda update targets the crap site, and those site that is not giving value to its reader. So if your site falls under this category, there is a big chance that Google Panda Update 2.6 will hit those site. Do you have any experience or any update about Google Panda? Let us know through comments. I don’t really know if my blog is also affected by this update but this update is better to removed many site that give an accurate results. Thanks for informing us. di kaya tinamaan ang site ni Yugatech sir kaya bumaba and traffic nya? o di kaya dahil kailangan ng magdagdag ng bandwidth sa site nya kc and bagal mag load ng site kaya minsan di ko na hinihintay magload kc nakakairita. Medyo madami kasi sya advertiser kaya siguro bumagal.. YUng sa traffic..di ko masabing bumaba ang traffic nya kasi nawala talaga yung badge nya ng topblogs at yung mga cache page lang nya ang nabibilang ng topblogs..
Naku ano kaya ang epekto nito sa mga sites natin? Good for you.. Di pa bumabalik yung mga ibang keywords ko 🙂 pero may mga nawawala rin.. dahil sa panda. Hi Dexter, thanks a lot for the update on this. I wasn’t aware that there was another round of “Panda” updates from google. I did not notice any decline of traffic on my site during the past week, although I did notice a sharp decline in my adsense earnings starting September 21. My CTR suddenly became less than half from the previous months (it is not against the TOS of Google Adsense to talk about this right?). Anyway, I have been searching for anything on the web that could be the cause of my problems and now I am not sure if this panda update had something to do with it… sigh. I have not read any relation of Panda Update to Google Adsense but it might affect Google Adsense in some way.. I don’t think it’s against the TOS to talk about that . What is against in Adsense TOS is to show your data publicly.